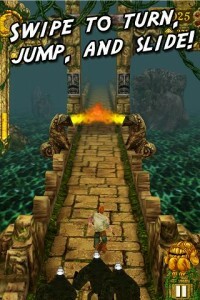 Temple Run is an addicting arcade game for Android. In Temple Run you are an explorer who has stolen a cursed idol from a temple. As a result, you must run from ‘Evil Demon Monkeys’ who will rip you to shreds if they catch you. The goal of the game is to escape from these monkeys by… running. The further you run, the more points you get. However, it isn’t that easy. Along you path there are obstacles that you must avoid and overcome using touch gestures: swipe left/right to turn left/right when there is a turn in the path; swipe up to jump over stables, such as a tree branch or a hole in the road; swipe down to slide beneath obstacles such as a tree; and tilt left/right to run on the left/right of the path. In addition, there are coins you can collect along the way which can then be used to purchase power-ups and unlock other characters. Best of all, Temple Run has very good graphics for a ‘running’ game and offers a good mix of challenge and ease. PhotoCircle is a cross-platform photos sharing app. With the app you create circles and share photos within the circles. Whomever you invite to the circle(s) can view the photos; whomever you don’t invite cannot view the photos. You can create as many circles as you like as well as have an unlimited amount of friends in a circle. 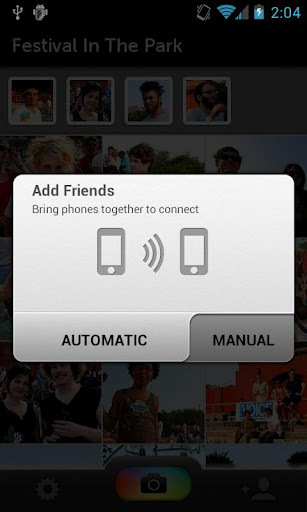 If you and your friends/family are in the same room, putting your devices in close proximity with each other automatically connects the devices and puts them in the desired circles. If you aren’t in the same room with the people you want in your circle(s), there is no need to worry — you can add people via SMS/e-mail and still share photos over long distance as long as you (and them) have a WiFi/3G/4G connection. The best part about PhotoCircle is it instantly updates the circles as photos are added (no need to continually refresh to see photos) and it is cross-platform — there is an iOS app, too, and both iOS and Android apps work well together. Take note there doesn’t appear to be a way to download photos from circles, so if you are kicked out of – or leave – a circle then you will no longer have access to the photos. Also note to use PhotoCircle you need either a Facebook or PhotoCircle account. If you don’t have a Facebook account, creating a PhotoCircle account is free. 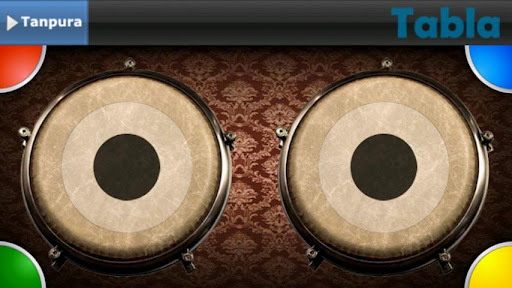 Tabla is a finger drumming app for Android. Tabla simulates two ‘tablas’ (aka arabian drums’) which you play by tapping; there are a total of 10 drum sounds the tablas make, each sounding very realistic. Multi-touch is supported so you can drum both tablas at the same time, if you wish. In addition there are chimes, gongs, and gungru sounds that you can play along with tanpura in the back ground.